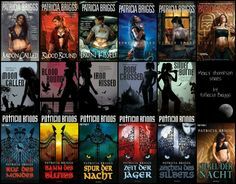 The Urban Fantasy sub-genre is one of my favorites because the books are set in the world of today, but with some definite differences–yes, there are vampires, werewolves and all sorts of creatures living among us! 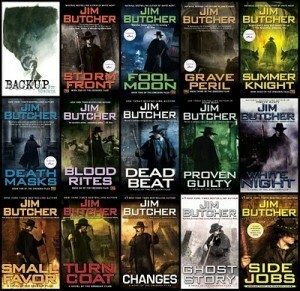 Building an alternate world is an integral part of most urban fantasy novels, so most of them are series; hence, I will list my top 5 favorite series and the first book in said series. You can tell that Mr. Hearne is a serious mythology buff because Atticus, a 2000+ year old Druid, meets people, gods and goddesses, and creatures from all over the world. Atticus is funny and is very culturally up-to-date, but his Irish Wolfhound Oberon is hilarious! Oberon hankers for sausages and poodles, though not necessarily in that order. Druid magic in this series is different from other pagan types of magic, which makes for interesting reading. There are so many other good things about this series, but not enough room to list them all. Mercy Thompson is a mechanic who can change into a coyote, though her magic is different from the werewolves (and vampires and fey) that she lives around. Ms. Briggs is a fantastic writer. I love that she makes Mercy both a strong and not so strong character at the same time. Unlike some other heroines, Mercy knows her limits, though that doesn’t always stop her from doing something she shouldn’t! Also, don’t miss out on the Alpha and Omega series, a spin-off of the Mercy Thompson world. This is a fast-paced, action-packed series that takes place in Dublin, Ireland with plenty of intricate twists and turns and interesting magical items to keep most people like me happy. Ms. Moning definitely knows how to leave her audience with a huge cliffhanger and begging for her next book release date! This series is darker than her Highlander series with less romance. An over the top series about Sandman Slim and his escape from Downtown (i.e. hell) back to L.A. (of course) and everything he does after that. I’m not sure how to describe this series without spoilers–just be prepared for a wild ride like driving with me: get in, sit down, shut up and hang on. 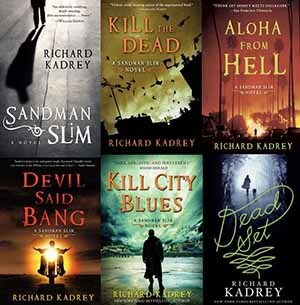 Every time I think Kadrey won’t be able to top his previous novel, he does. Lots of things get blown up in these novels, which also makes me happy. This is a dark series with hope like a light at the end of the tunnel. There are so many good series in this sub-genre that it would be remiss of me not to have an honorable mention section: All Souls Trilogy by Deborah Harkness, Kitty Norville series by Carrie Vaughn, Eric Carter series by Stephen Blackmoore (if you like Sandman Slim, you’ll like this series), Argeneau Vampires by Lynsay Sands (hard to decide if this series is more romance or urban fantasy, but it’s got a lot of humor in it), and Anita Blake, Vampire Hunter series by Laurell K Hamilton (before the series becomes mostly about polyamory).